Although I gather outfit inspiration from all over, I very rarely find an outfit that I want to recreate head to toe. However, when I came across photos of this Miu Miu ensemble worn by Anna Dello Russo, I was immediately inspired by its Art Deco feel. 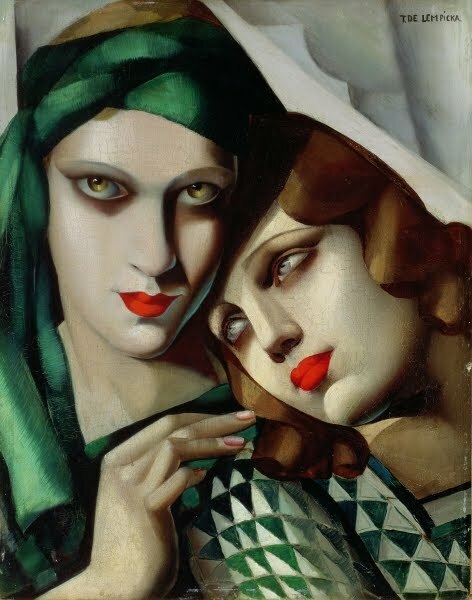 The main reason I was drawn to the look (other than the electric green color and striking accessories) is because of its affinity to the work of Polish artist Tamara de Lempicka. 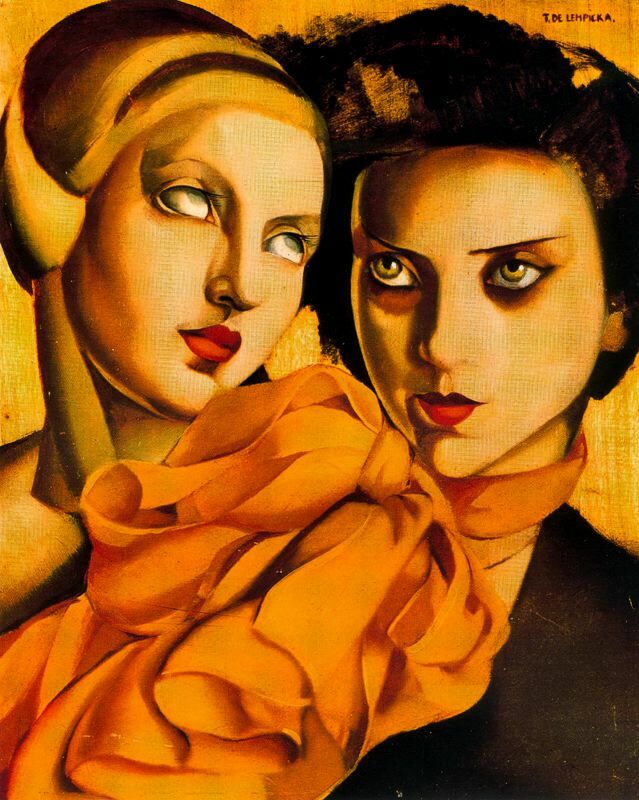 Lempicka (1898-1980) is one of the most well-known female Art Deco painters. Her style is a combination of synthetic cubism and Art Deco, and the resulting work is geometric and exacting, yet still maintains a keen appreciation for the female body. 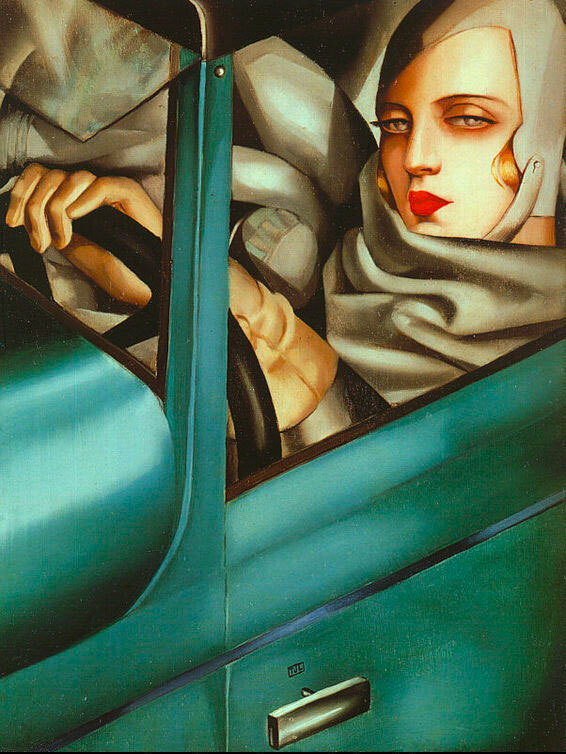 The majority of Lempicka's paintings depict assertive, independent women. Her self-portrait Tamara in the Green Bugatti (below) imbues her own image with a sense of independence that was not widely accorded to the women of her time. Her notoriously glamorous yet alternative lifestyle made Lempicka the subject of a number of books and screen productions. 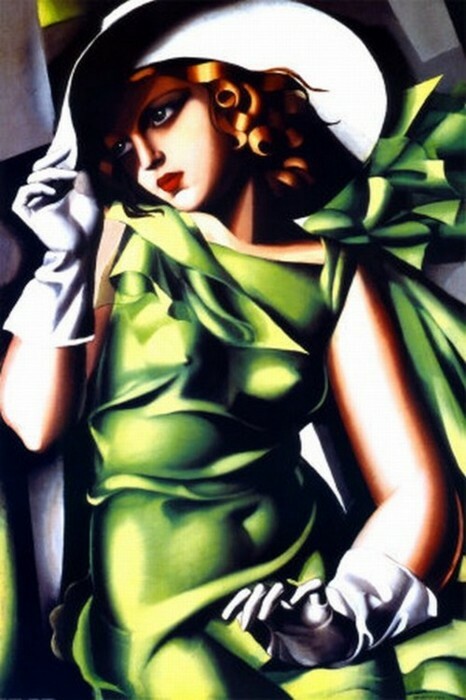 After a life spent solidifying her social and artistic importance, Lempicka became known as "the baroness with a brush". I tried to capture the Art Deco feel of these works by combining a beaded jacket with a structured shift dress and geometric accessories. I'm wearing a vintage beaded and sequined jacket, H&M silk dress, Falke Pure Matte tights in Emerald, Divided shoes, Gap belt, and vintage gold clutch. In other news, my birthday is just around the corner! I was so excited to see daffodils (my birthday flower) in bloom this week. Great blog! Just found it and I'm going to show my art teacher! It's great!